I was born and raised in Kansas City, Missouri, about three blocks away from the historic ‘red-line’ of the central city, 63rd and Troost, which was used by real estate and government officials to demarcate white and nonwhite neighborhoods. My mother was a leader of a neighborhood coalition that stretched across this historic dividing line, and I was often struck by the contrast between the interracial social space of the neighborhood meeting, and the intra-racial makeup of the block where our home was situated. In addition, riding the Metro (our city bus system) everyday, I grew a strong appreciation for the diversity of urban life – economic, social, cultural, and political. My mother, a college librarian for thirty-seven years, helped cultivate my interests in reading, writing, and activism. From Kansas City, I attended the University of Missouri in Columbia, where I graduated with my B.A. in both Psychology and Sociology in 2004. For the next year, I worked as a Youth Specialist with Missouri’s Division of Youth Services, counseling juvenile felony offenders in a minimum-security group home in Columbia Missouri. 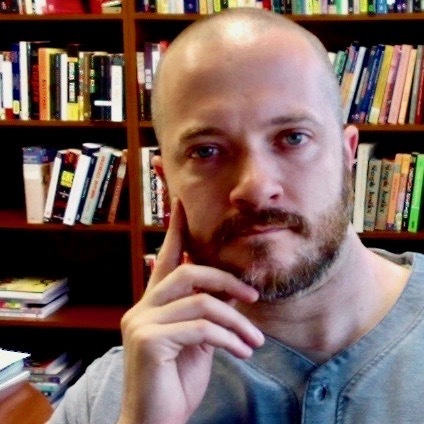 In 2005, I re-enrolled at the University of Missouri as a graduate student in the Sociology program. Falling in love with the process of critical inquiry and the pursuit of knowledge, I decided to continue my studies after obtaining my M.A. in Sociology in 2005, sticking around for my Ph.D. in Sociology, which I finished in 2011 along with a graduate minor in Women’s and Gender Studies. My dissertation research focused on the role of stand-up comedy venues in the production of contentious politics. I conducted ethnographic fieldwork at three different sites where stand-up comedy took place: a professional comedy club, a self-described punk/rock/horror/sci-fi bar that hosted a weekly amateur comedy show, and a popular drag revue at an LGBT nightclub. 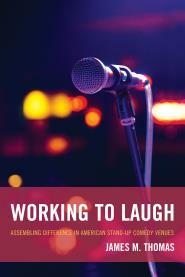 Upon finishing my Ph.D., this research served to frame my first full-length book project, Working to Laugh (Lexington Press, 2014), in which I situate the stand-up comedy club within the larger context of urban nightlife. Taking what Michael Ian Borer describes as the “urban culturalist perspective”, I interrogate the dynamics between space, power, and cultural practice within these scenes. Drawing conceptual strength from Michael Hardt and Antonio Negri, I frame the work involved in the production, distribution, and circulation of collective feelings of ‘good times’ within stand-up comedy clubs, and urban nightlife more generally, as a form of affective labor. I then argue that it is affective labor which contributes to, and contests, the reproduction of racial, class, and heteronormative orders within urban nightlife. Speaking at the 12th Social Theory Forum, University of Massachusetts Boston. Since completing my dissertation research, I have embarked on two other projects that reflect my interests in race, racism, their histories, and their contemporary practices. The first project seeks to uncover the complex and contested meanings of diversity, inclusion, and civil discourse that exist within American higher education. Specifically, I ask the following questions: How might colleges and universities, conventionally understood as sites where diversity and inclusion are valued, actually contribute to exclusion based on race, gender, class, and sexual orientation? What kinds of messages about diversity and inclusion matter most to colleges and universities? Finally, how do the students, faculty, and staff tasked with the informal and formal work of diversity understand this work within the context of the messages about diversity and inclusion produced by their institutions? A preliminary design for this project was awarded funding from the ASA Fund for the Advancement of the Discipline Award in September of 2013. A second project, for which I am a co-author, examines the genealogies of race and racism as psychopathological categories from mid-19th century Europe and the United States up to the present day. 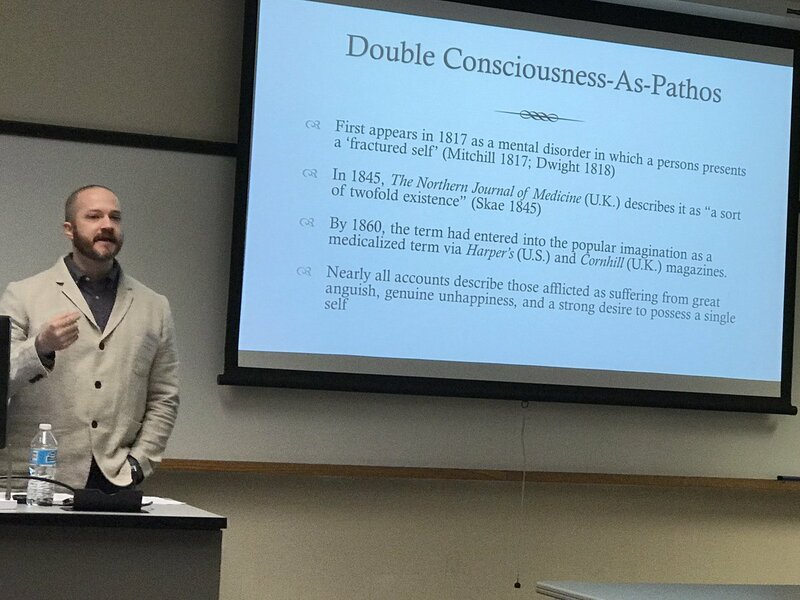 Examining scholarly journals, speeches by civil rights leaders and politicians, and mass media, this project aims to account for how the 19th century ‘Sciences of Man’, including anthropology, medicine, and biology, used race as a means of defining psychopathology at the beginning of modern clinical psychiatry, and, subsequently, how these claims about race and madness became embedded within claims of those disciplines that deal with mental health and illness. Finally, this project looks to illuminate the post-World War II shift in explaining racism as a social, political, and cultural consequence to that of a pathological byproduct. This project is currently under contract with New York University Press, and we expect to have a completed draft by October of 2015. When not conducting research or teaching, I enjoy spending time with my family, cooking, and consuming massive quantities of television through Netflix and Hulu. I’m also a gym rat, spending roughly an hour every weekday morning lifting weights, jumping rope, and generally trying to relive the athletic glory days of my younger years. 2014. James M. Thomas and David L. Brunsma. “Oh, You’re Racist? I’ve Got a Cure for That!” Ethnic and Racial Studies 37 (9): 1467-1485. 2014. “Affect and the Sociology of Race: A program for critical inquiry.” Ethnicities 14 (1): 72-90. 2010. “The Racial Formation of Medieval Jewry: A challenge to the field.” Ethnic and Racial Studies 33 (10): 1737-55. 2007. “Re-upping the Contract with Sociology: Charles Mills’ The Racial Contract revisited a decade later.” Sociology Compass 1 (1): 255-64. 2013. James M. Thomas & David L. Brunsma. “Racial and Ethnic Minorities and the Sociology of Human Rights.” In David L. Brunsma, Keri Iyall Smith, and Brian Gran (eds. 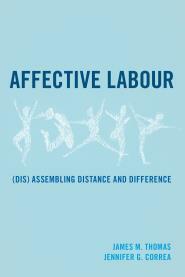 ), The Handbook of Sociology and Human Rights. Paradigm Publishers. 2012. “Standing Up Racism: Richard Pryor and the Development of a Contentious Racial Politics.” In Shawn Bingham (ed. ), The Art of Social Critique: Painting Mirrors of Social Life. Lexington Books. 2010. “The Dark Craven Jew: Race and Religion in Medieval Europe.” In Julius Adekunle and Hettie V. Williams (eds. ), Color Struck: Essays on Race and Ethnicity in Global Perspective. University Press of America. 2008. James M. Thomas & David L Brunsma. “Bringing down the House: Reparations, universal morality, and an epistemology of social justice.” In Angela Hattery, David. G. Embrick, and Earl Smith (eds. ), Human Rights: Social, Political, and Economic Inequalities in a Globalizing World. Rowman & Littlefield.